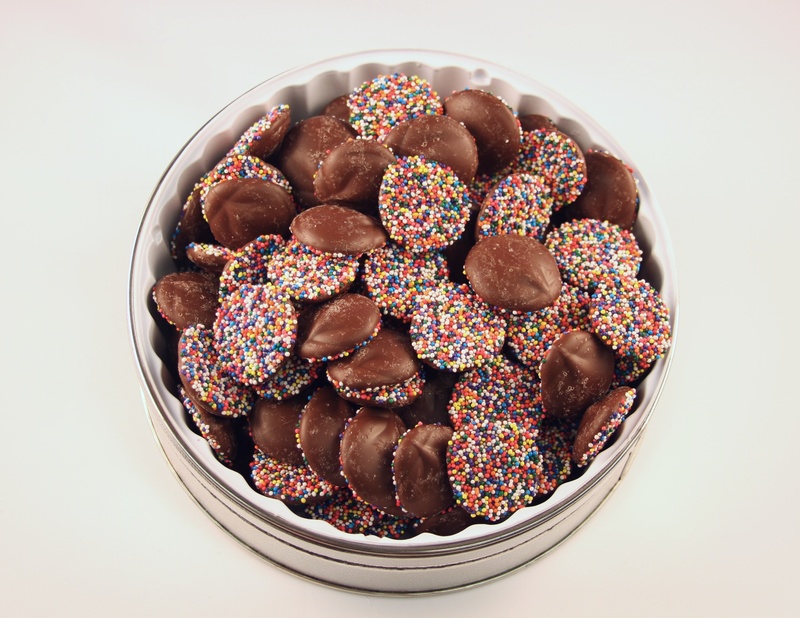 Sweet milk chocolate with rainbow nonpareils in a decorative tin. 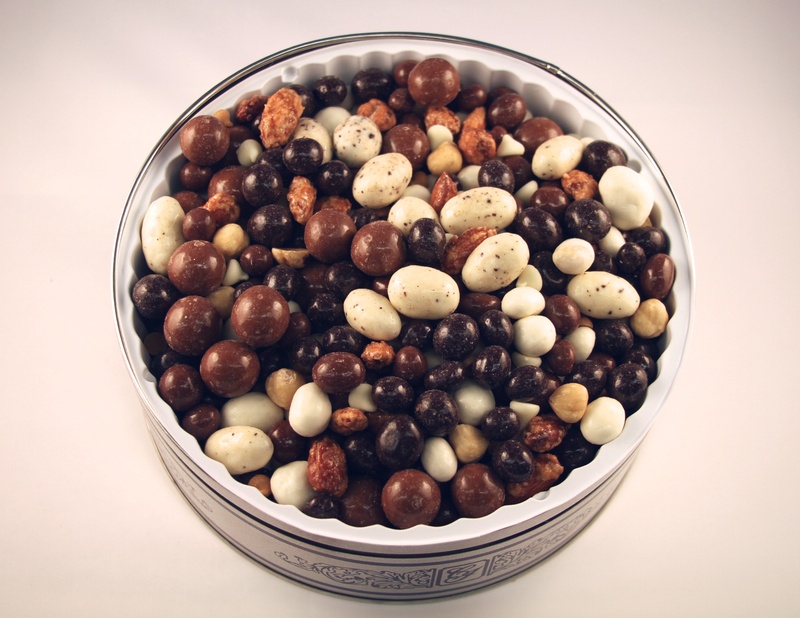 16 ounces $19.95..
Roasted Nuts smothered in milk and dark chocolate in a 16 ounce decorative tin. 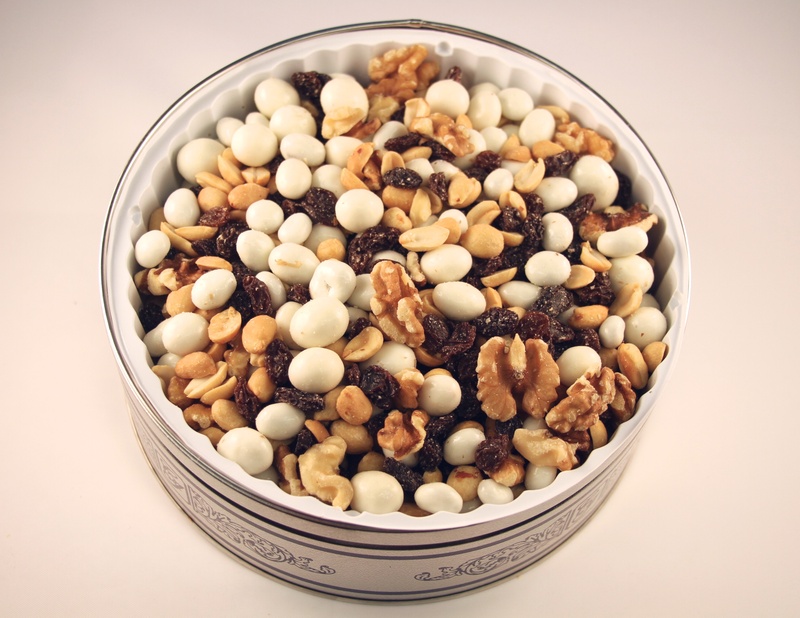 16 ounces $19.95..
Yogurt Nut Mix is a perfect blend of raisins, peanuts, walnuts and yogurt covered nuts in a decorative tin. 32 ounces $19.95.. 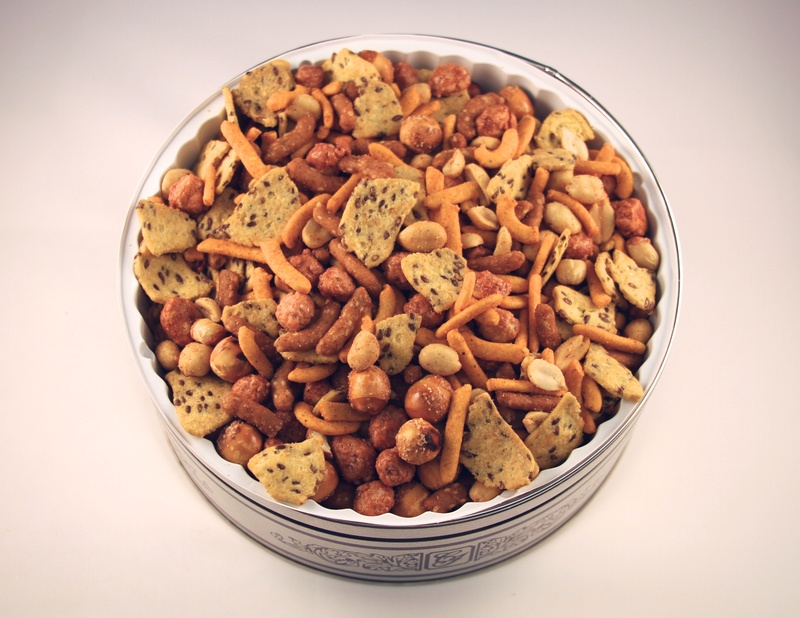 The butter toffee trio features pecan halves, roasted cashews, and roasted almonds all drenched in sweet butter toffee coating that makes nuts taste great. 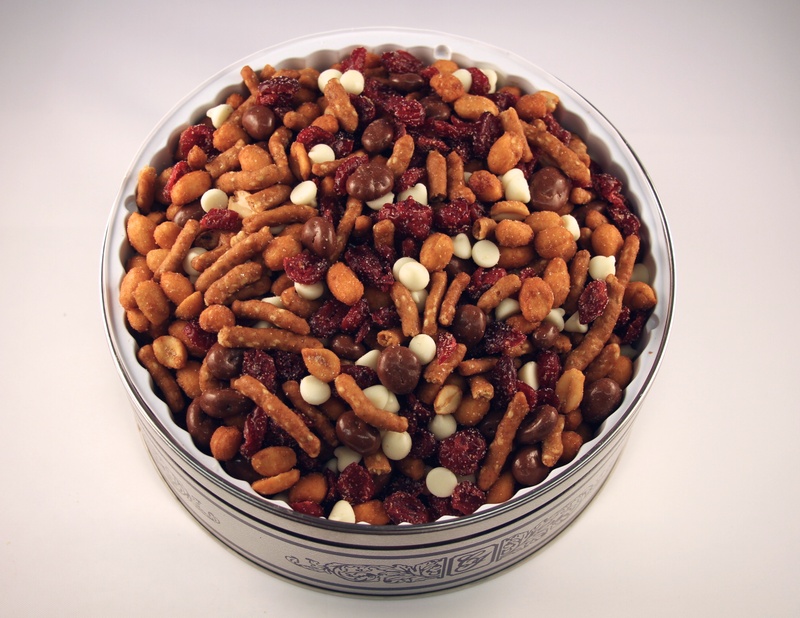 32 ounces ..
Razz M` Tazz mix features a blend of honey roasted peanuts, honey roasted sesame snack sticks, dried cranberries and white chocolate. 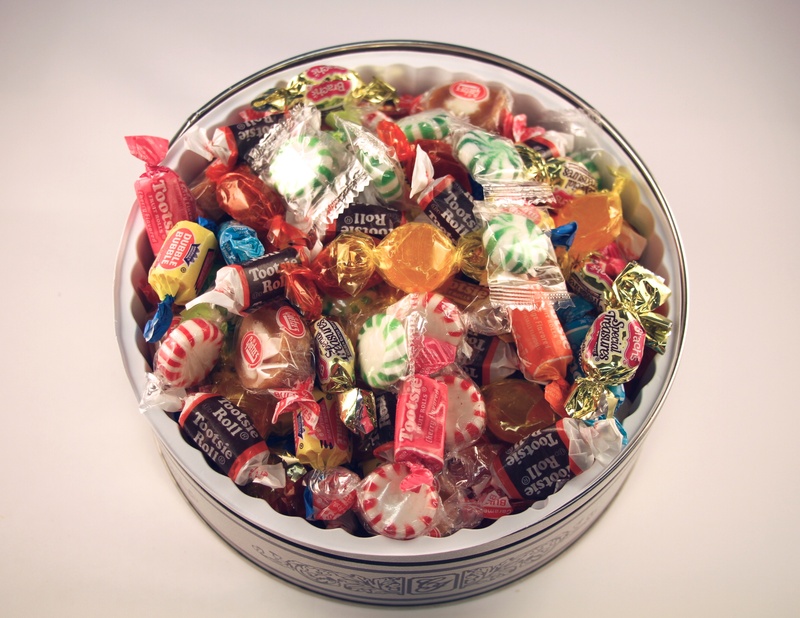 This is an all year round favorite in.. 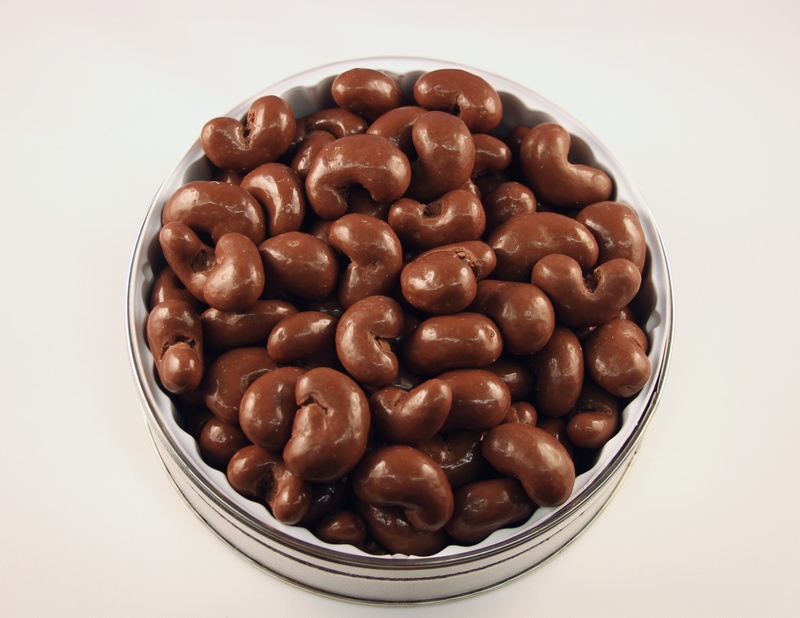 Milk Chocolate double dipped whole roasted cashews in a 16 ounce decorative tin. 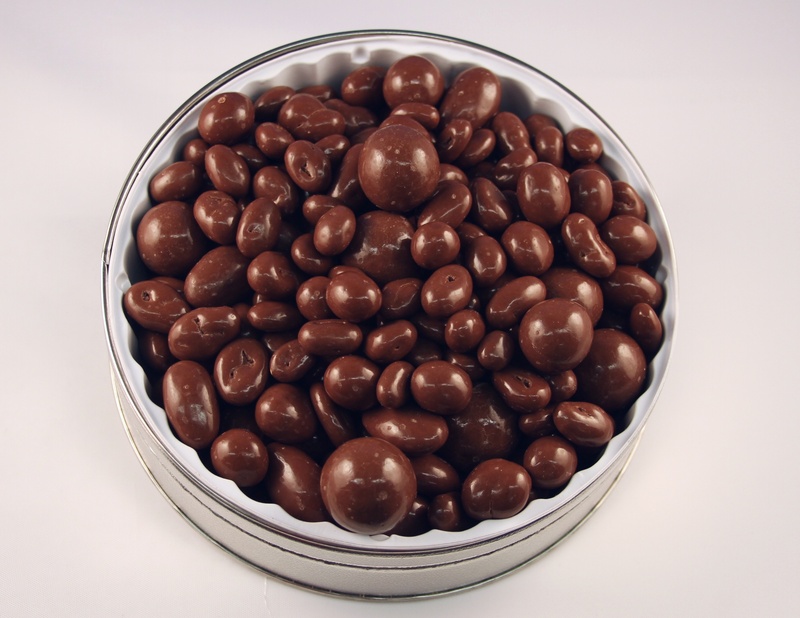 16 ouncec $19.95..
Sweet tempation will tempt your taste buds with our blend of almonds, peanuts, raisins and candy coated milk chocolate candies. 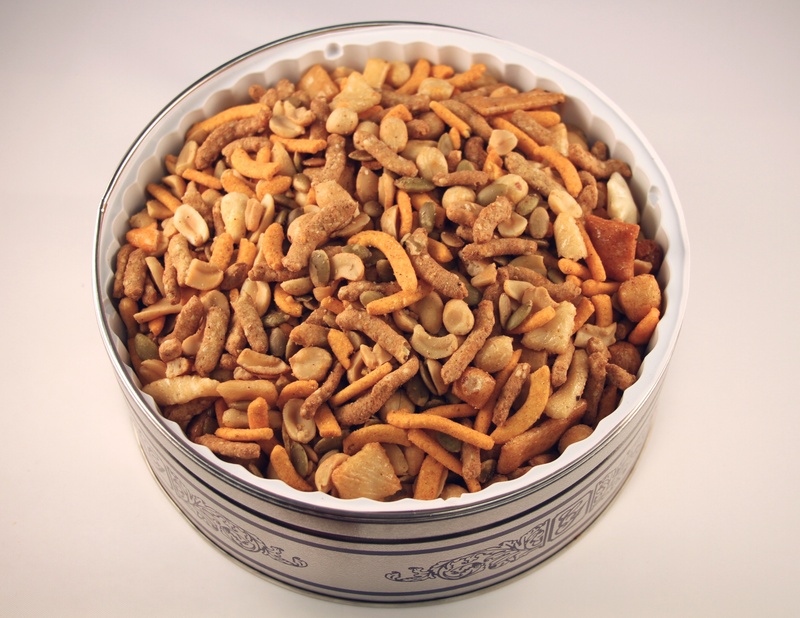 40 ounces $22.95..
Oriental Treats is a mildspicy delicious blend of cajun hot sticks, oriental rice, sesame sticks, peanuts, cashews, sunflower seends, pumpkin seeds in a decorative tin. 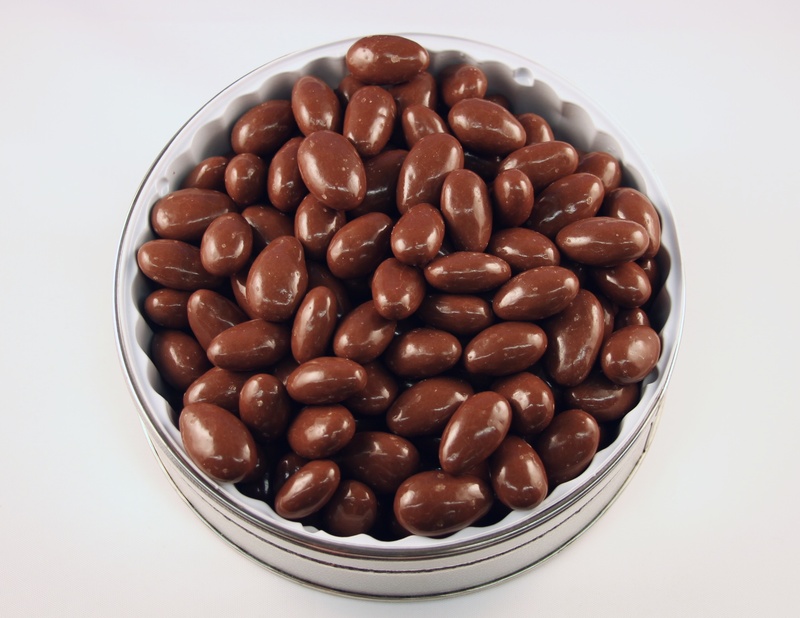 32 ounces ..
Roasted Almonds drenched in rich, smooth dark choclate in a decorative tin. 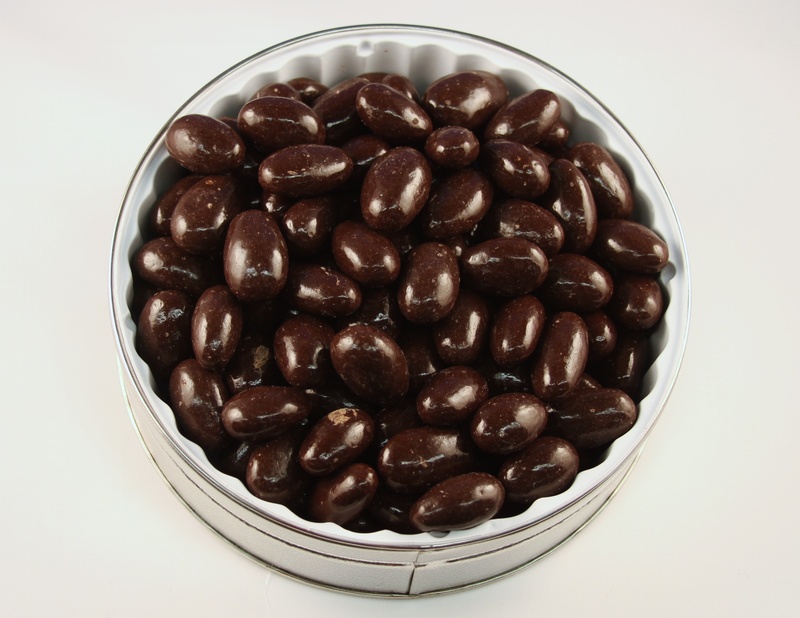 (We offer milk and dark mixed together as well) 16 ounces $19.95..
Roasted Almonds drenched in rich, sweet milk chocolate in a decorative tin. 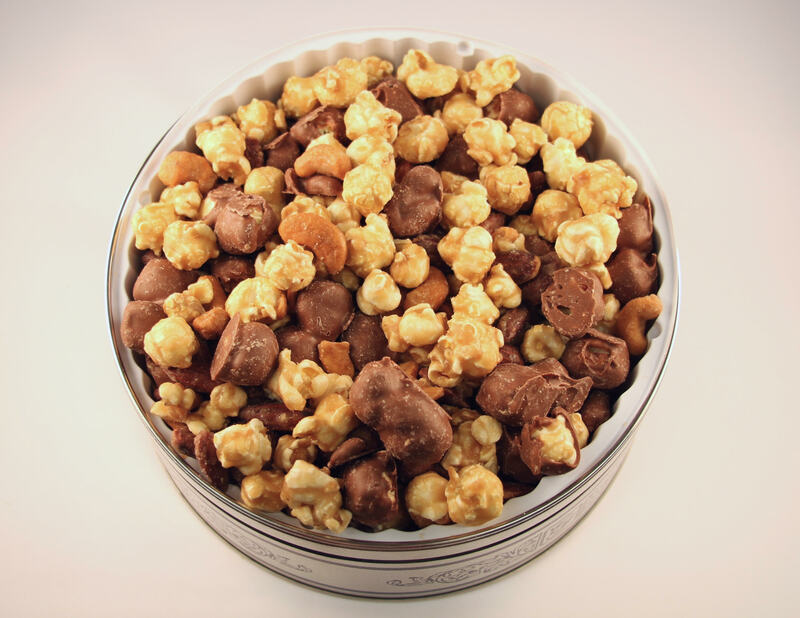 16 ounces $19.95..
A delicious mix of butter toffee drenchedpopcorn with milk chocolate. 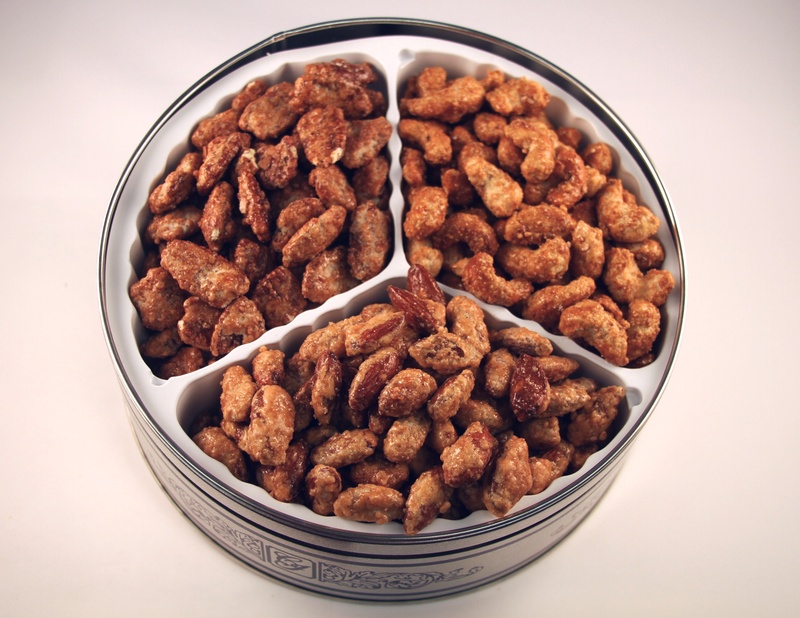 Mixed in with butter toffee cashews, almonds and pecans. 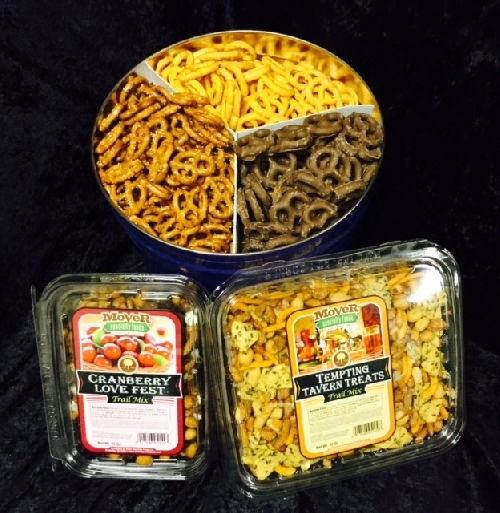 18 ounces $19.95..
Gourmet Pretzel Snack Tower Our 3 lbs gourmet pretzel tin featuring local Tom Sturgis Juniors, Tom Sturgis Little Cheesers, and Milk Chocolate covered Pretzels, Moyer Specialty Foods Tavern Mix..
A delicious blend of butter toffee, nuts and cajun spiced snacks to create the perfect blend of spicy snd sweet thst is sure please. 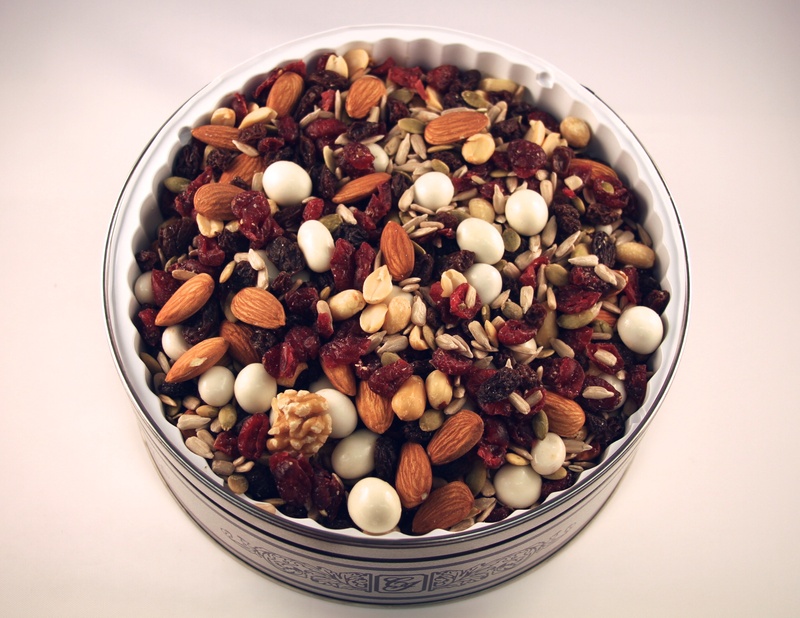 25..
Cranberry Yogurt Trail is a delicious blend of dried cranberries, yogurt and salted nuts. This will be a favorite of all who recieve this gift. 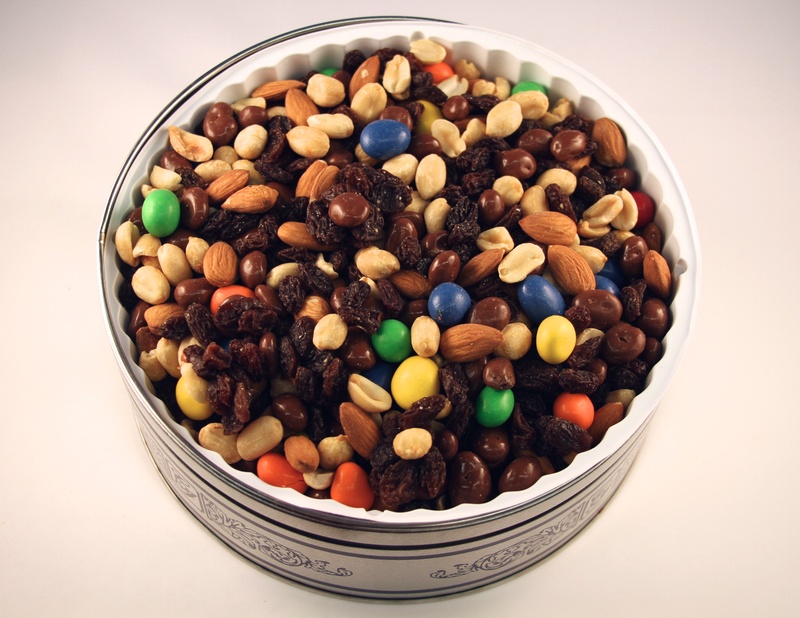 40 ounces ..
All your old time favorite wrapped candies in a decorative tin that is sure to please anyone who recieves this gift. 32 ounces $18.95..